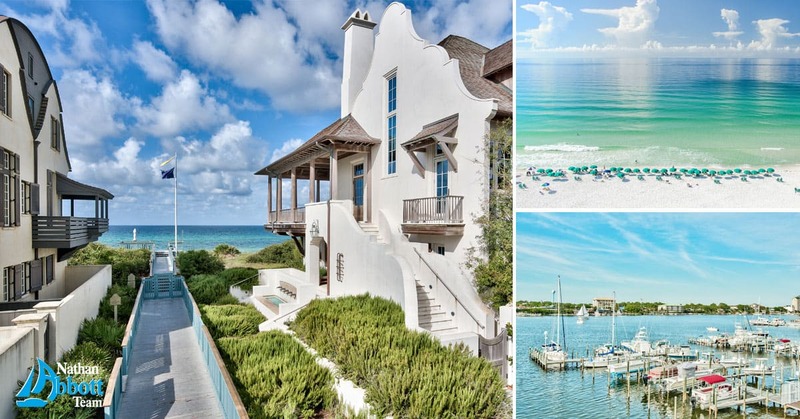 We are happy to report another successful year for real estate sales along the Emerald Coast. Many areas sales volume increased, some up to 34%! 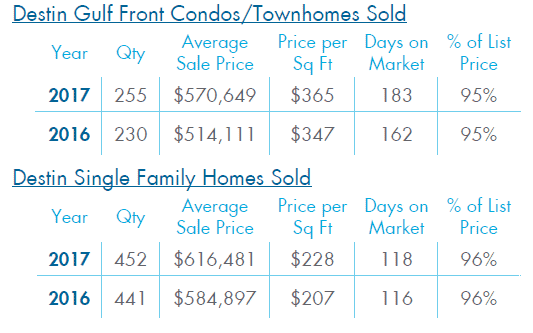 Across the board, price per square foot showed ahealthy increase. Average prices also continue to steadily rise. The National Association of Realtors® 2018 Housing and Economic Forecast predicts that a steadily improving economy, sustained job growth, and rising home buyer confidence should pave the way for an increase in existing home sales. 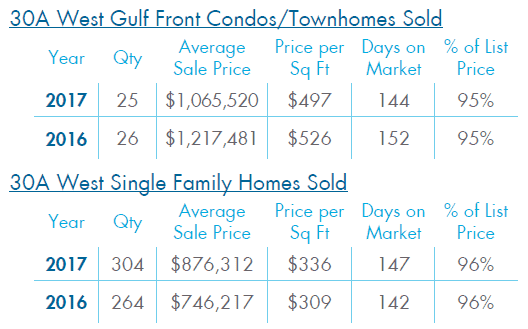 The number of sales for Gulf front condos and townhomes in Destin increased 11%, the average sold price increased by 11% and price per square foot increased 15% in 2017 vs 2016. Single family home sales in Destin improved in 2017 with the average sales price 5% higher and price per square foot 5% higher. 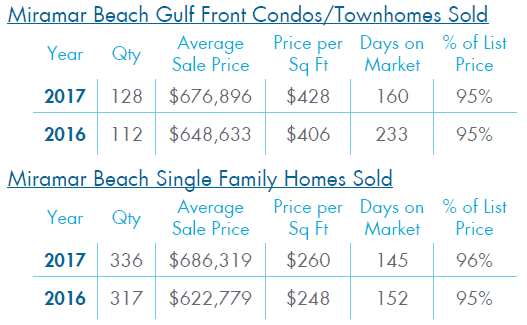 Miramar Beach Gulf front condos had a 4% increase in average price, 5% increase in price per sq ft and were on the market 73 days less in 2017. There were 6% more Miramar Beach single family homes sold in 2017. Average price increased 10% and price per square foot increased 5%. 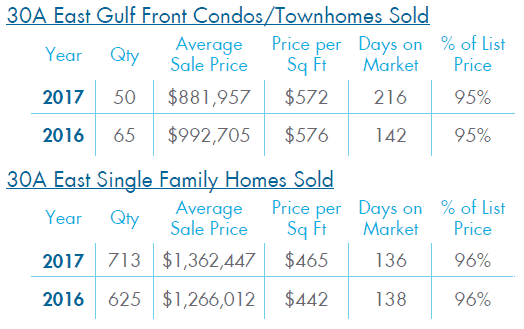 Gulf front condos and townhomes sold in the 30A West area had a decrease in average sales price and price per square foot in 2017. There were 15% more 30A West single family homes sold in 2017. Average price increased 17% and price per square foot increased 9%. The price per square foot for Gulf front condos sold in the 30A East area remained steady in 2017. Average sales price decreased. Single family home sales increased in volume by 14%. Average price increased 8% and price per square foot increased 5%. Single family homes in Santa Rosa Beach, north of Highway 98, showed a 4% increase in sales volume, a 25% increase in average price and a 16% increase in price per square foot in 2017. Panama City Beach Gulf front condos sold in 2017 had a 34% increase in volume, 9% increase in price and 6% increase in price per square foot. *All statistics and data obtained through MLS on 1/23/18. Search all properties for sale along the Emerald Coast.